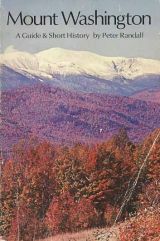 A nice used hardcover copy of author Peter Randall's 1974 history and guide to New Hampshire's Mount Washington. 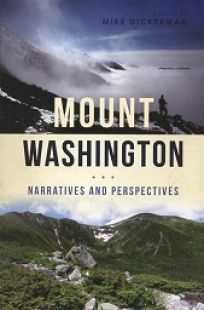 A used first edition paperback copy of this essential guide and history to Mount Washington. 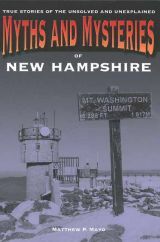 NOW AVAILABLE: A new reprint edition of Mike Dickerman's best-selling anthology on New Hampshire's famed Mount Washington, highest peak in the Northeast. 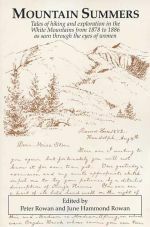 A new unread and unused foirst edition copy of this hard-to-find White Mountain title. A compelling, newly published collection of fifteen profiles focusing on extraordinary people whose lives are intricately linked to the history of the White Mountains. A great read! A new collection of true stories of the unsolved and unexplained in the Granite State. A great new alphabet book penned by one of New Hampshire's favorite storytellers, Rebecca Rule. 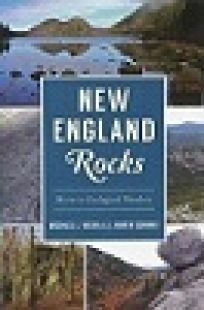 Introduce your youngster to the Granite State with this fact-filled, illustrated volume. A new and unique guide to hundreds of macabre sites, attractions, and artifacts scattered across New England. Second edition of this illustrated sourcebook on early Native American life in New England. A new collection of bizarre and eerie stories gathered from cemeteries and gravestones scattered across the Granite State. The newly published second edition of this fun and wacky guide to the Granite State's quirkiest characters, roadside oddities, and other offbeat stuff. A great new illustrated book profiling 50 iconic symbols of the Granite State.